Android 8.0 Oreo makes a lot of changes to how notifications work, and Samsung has implemented those changes on the Oreo beta that has gone live for the Galaxy S8 and Galaxy S8+. Nougat introduced a lot of control over Android’s notifications, and things are even more customizable on Oreo. Two of the new customization features include the ability to pin or snooze notifications. 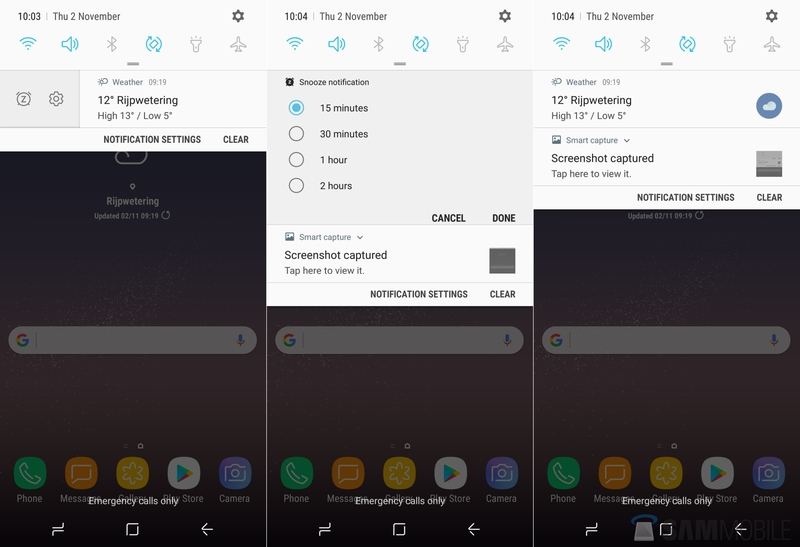 The Clear all button in Android’s notification shade can be useful for getting rid of all notifications with a single click, but with Oreo, users can pin notifications that they do not wish to remove even when the notification shade is cleared. On the flip side, notifications that bother you (like those pesky WhatsApp group messages that keep pouring in) can be snoozed for up to two hours. The pin and snooze options can be accessed by swiping an app’s notification ever so slightly to the left or right, then hitting the corresponding toggle. We can see these being quite useful, especially that snooze button. There are a handful of new features and changes on Android 8.0 Oreo, and you can read about them all in our What’s New With Android 8.0 Oreo series. Are you using the Oreo beta on your Galaxy S8 or S8+? Discovered any new features that we may have missed? Let us know in the comments! uhmmm… can you tell me how to actually pin notifications? you repeat several times that i am able to pin notifications, but the only two buttons available are for snooze and app notification settings? what??? How can I get rid of notification from Android System which tells me that S Health is running in the background?